The Monthly Marfy Challenge is still going strong. 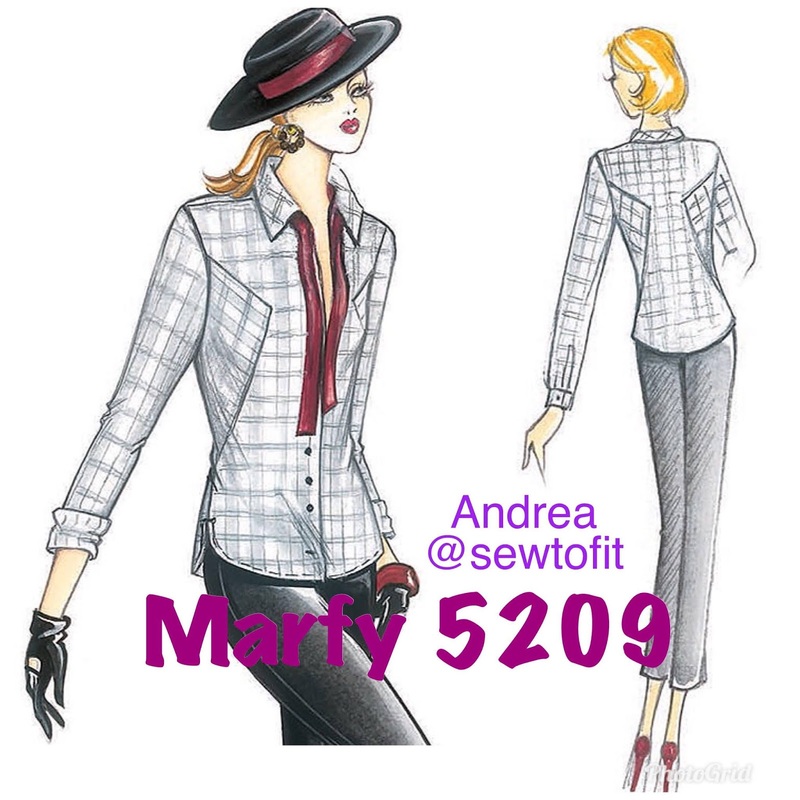 I have been working my way to completing this months pattern which you voted on, during the March 3rd live video, for the #sewtofitMarfyChallenge. I must admit, it is really hard not to share too much of the details of my progress with you on my IG account. To help me stay excited and motivated, I may have dropped a small nugget of information about my sewing project onto my Instagram stories throughout the month. Although, I made the rules, I find it really difficult to stick to them. I began studying the pattern and preparing for the adjustments soon after you selected my assignment. Here are the steps I took to make the adjustments needed. 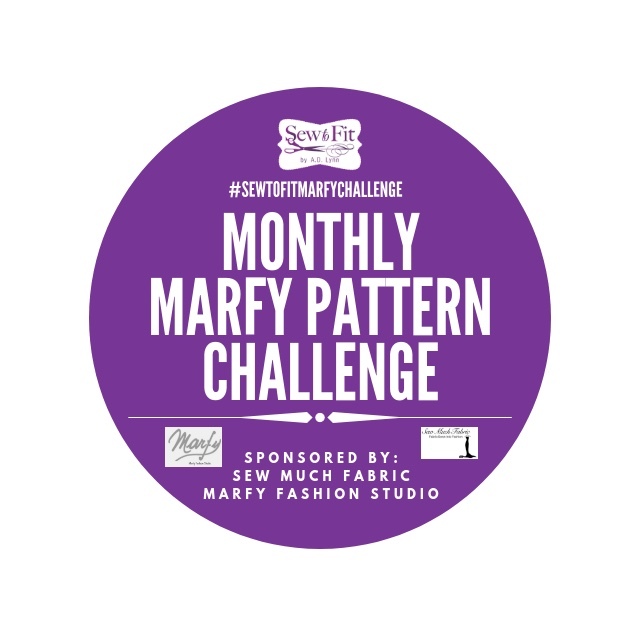 I wanted to share with you my pattern fitting process I did in preparation for Episode 2 of the video series, the "Monthly Marfy Challenge" which airs live on my YouTube channel. (Full details of the challenge is below.) 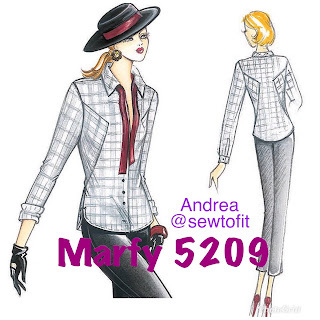 The pattern you voted for me to sew is Marfy 5209, a gorgeous shirt with insets and neck ties which are part of the collar band. I love a button down! 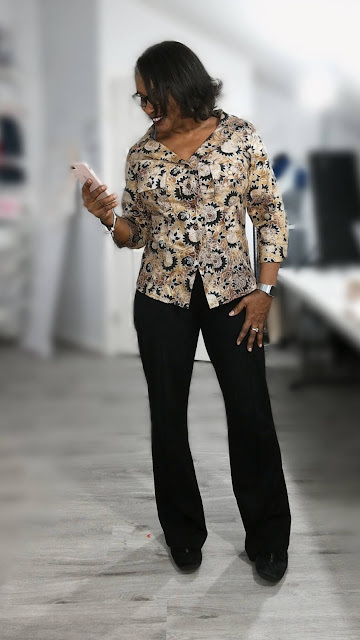 I thought I might share a pant and fabric review and a story of my long vacation to Italy I took with a fellow fashionista, Becki. This vacation is what lead me to want to do something on my YouTube channel that would bring all the memories back like a flood. I wanted to do a "VLog" of my vacation. Lately, I have been in the need for a good walk down memory lane. I know there are other places in the world that cause the feelings a trip to Italy can bring. But, we will just start with Italy for now. Particularly, the Province of Ferrara, Italy. 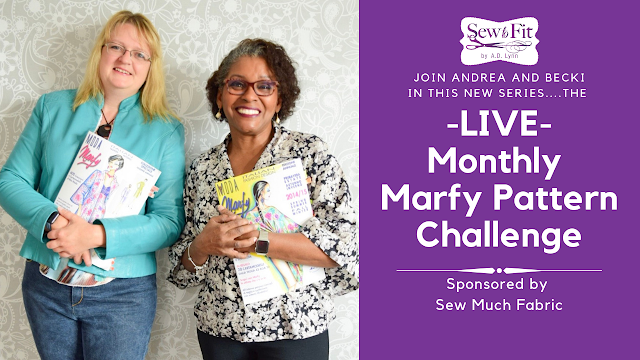 Introducing a new Sew-To-Fit LIVE video series: The Monthly Marfy Pattern Challenge. 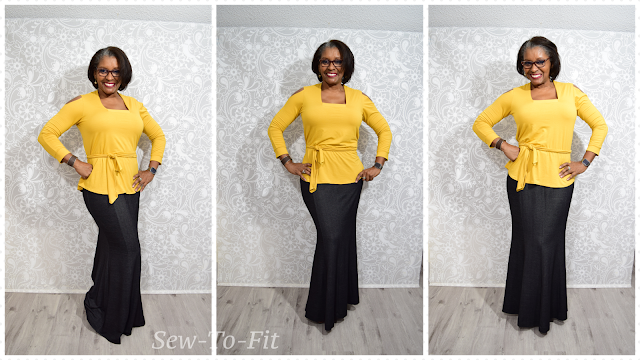 In this series, sponsored by Sew Much Fabric, my new Co-Host Becki Chitwood, and I will challenge one another to complete an outfit each month using a Marfy.it pattern. Your participation during this Live Webcast, will be to decide what pattern we will sew each month, via voting during the live show. The show will be the first Saturday of each month, beginning this Saturday, February 2nd @ 8pm CST. 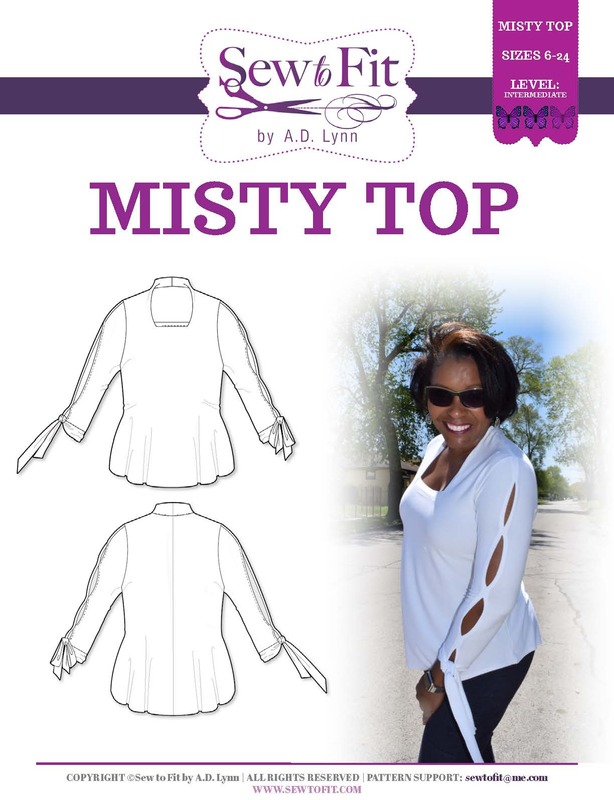 This show is a fun challenge, in addition to my regular Saturday Night Sew-To-Fit Live Webcast. In this video I demo how to fit a raglan sleeve blouse with a portrait collar so it won't gap and pull. I continue the fitting series in this live video with how to use your #sloper or TNT pattern Block when fitting your commercial Patterns. The pattern being demonstrated in this video is the McCalls 6286 (oop) that I have wanted to make for ages. Please NOTE: This video will actually Premiere on Saturday, 1/26/2018... I will be live in the chat with you, as we watch together and discuss the details of the demonstration. Please set your reminder. You can also check out the latest videos in the fitting series playlist to catch up on other fitting video I have done lately. 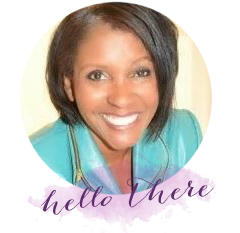 Newsletters and Saturday Night Live Webcast- Are you missing something? Thanks to everyone for checking in on the livestream last weekend. I hadn't realized how much you enjoyed these Saturday night livestreams on youtube. You showing up, tells me I must be doing something right! If you haven't seen this little number, it was on the blog last week. I discussed how I took it from a "maternity" dress for my daughter-n-law, to a well fitted tee-shirt dress for myself. More on this will also be discussed on the webcast. If you missed the last email, which contained the free Angie Vest pattern, don't worry, more patterns are coming up the pike. You will need to check your email regularly for these random pattern giveaways. They will happen often. Until next time, see you on the other side of the internet! !